Rong has been a Science Assistant of the WGI TSU since June 2018, working on both the Special Report on ocean and cryosphere in a changing climate (SROCC) and the main WGI AR6 report. Her role is the chapter scientific support for SROCC and WGI AR6 report, and providing scientific support to those two reports. She is graduated from Nanjing University of Information Science & Technology (NUIST). Her major is climate system and climate change. 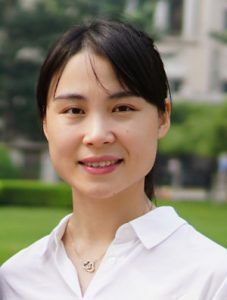 Rong has acquired basic knowledge about atmospheric sciences, and her research interest is detection and attribution of extreme events.